Your desktop isn't always within arm's reach. Your phone, however, is always ready and waiting — and that's something we want you to take full advantage of. Redefine mobile project management with annotation tools for PDFs and pictures along with streamlined navigation and new features that make you smarter on the go. Now you have a one stop shop to manage Schedules, Punchlists, Documents & Drawings, RFIs, DFRs, and even approve Invoices all from your Mobile Device! Projectmates is paving the way with its mobile functionalities," said Systemates President & CTO Varsha Bhave. "The powerful PC that we call the smartphone is ubiquitous with both our personal and professional lives. It's a no-brainer for our users to have a mobile platform that facilitates faster, easier and cheaper construction management. The future of mobile project management is already here, and I can confidently say that Systemates is leading the charge." As construction teams endeavor to keep up with the growth of their companies, project managers and executives often find themselves whisked away from their desks for extended periods of time. It is critical for teams to still stay coordinated and address tasks regardless of physical location. 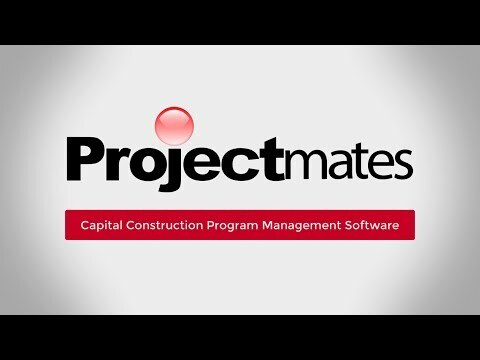 The Projectmates App accomplishes this by combining the robust features and tools of Construction Management Software with the versatility of a tablet or smartphone. A Project Manager at a National GC Firm, reports he is worried his fast track project may not finish on schedule due to an outstanding Change Order pending approval. Are Your Prototypes, Designs and Project Data Secure With SaaS Solution Vendors? This installment of "Questions to Ask before Investing in Construction Management Software" focuses on Data Security and SaaS Solution Providers.